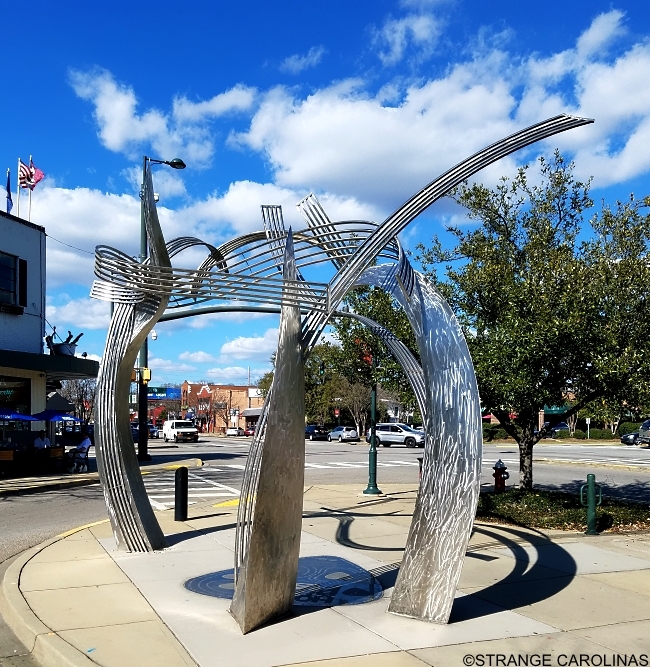 To commemorate Hootie And The Blowfish's twenty-fifth anniversary in 2010, a sculpture was erected in their honor in Columbia's Five Points. 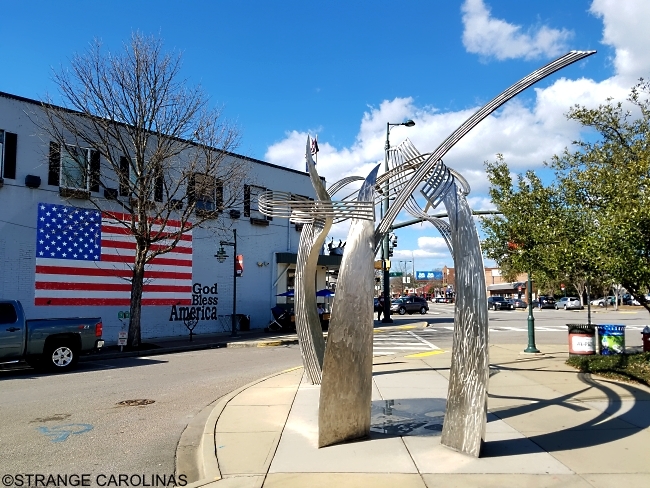 The piece was created by Matthew Kramer and Christopher Stuyck and financed by Time Warner Cable, the Five Points Association, and the City Of Columbia. 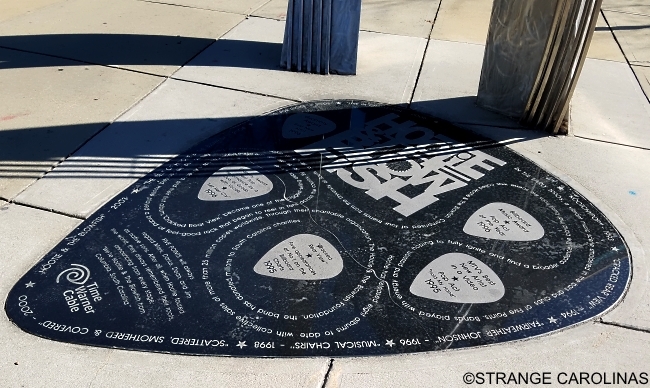 The monument consists of two pieces: a marble guitar pick that lists the band's albums and important milestones in their career and seventeen-feet-tall steel bars that contain musical stanzas. 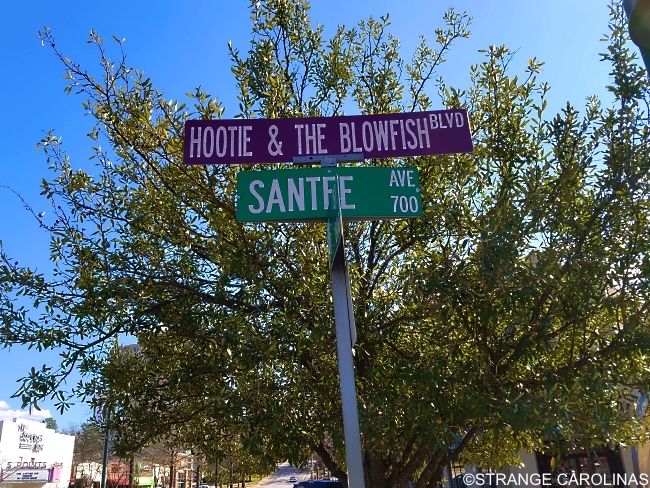 They even renamed the street in the band's honor.